Tonight, December 13th. 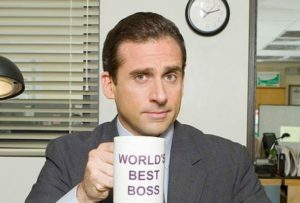 Trivia all about TV show The Office. 7:00 PM. Show up early if you want to be sure of getting a good table! Next week we have two trivia nights: Thursday the 20th it’s all about the Nutcracker, then on Friday the 21st, a pre-Festivus Seinfeld trivia night. Always at 7:00 PM and always at Urban Forage. Bring your game face- it can be competitive.